The best way to fight against tripping over your own steps in the dark is with glow in the dark step tread. This tread securely adheres to your existing steps and contains a strip that collects light energy during the day, transforming it into a glowing strip when it's dark so you can always see where your steps are and reduce the risk of injuries in the dark. 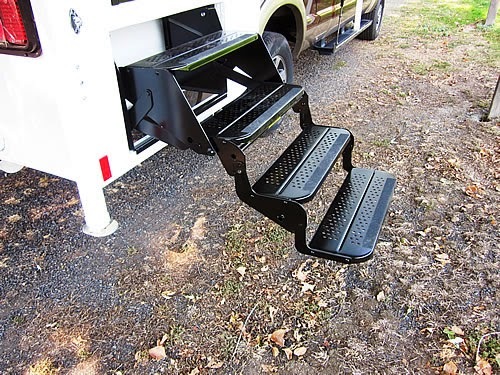 Another common problem many RVers experience is slippery steps. Sand can build up on the steps or they can become wet and slick if the conditions are right. Adding rough textured anti-slip strips can offer the traction you require to safely move up and down your steps, regardless of the conditions outside. If you are looking for these or other items, contact us. We carry all the products you need to make your RV experience safe and fun!